Diamond cut alloy wheels have become increasingly more popular with all vehicles, but especially amongst high-end brands including BMW, Porsche and Mercedes-Benz. 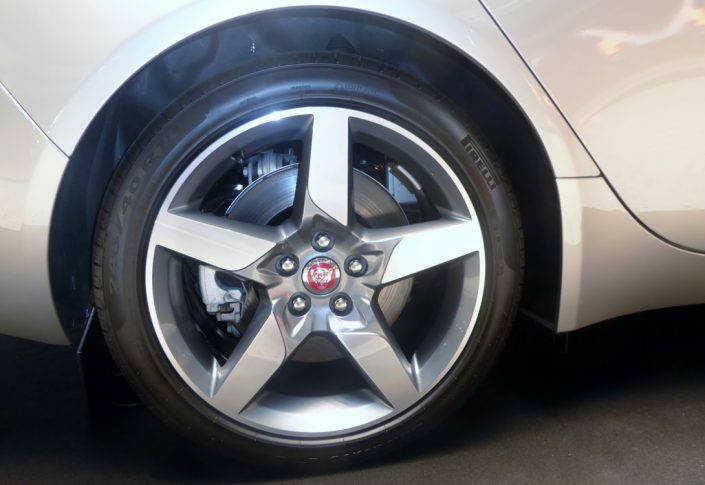 Diamond cut wheels can easily be recognised by their high shine finish and bare metallic effect. Very thin layers are carefully removed from the face of the wheel using a precision lathe with a diamond tipped cutter leaving a crisp and precise final product. As Diamond cut wheel repairs and refurbishment is a specialised service that requires expensive speciality equipment, it is usually not offered by most companies. However, at Fusion Wheels, there is no such problem, as we have not only the equipment but also the expertise to do the job. In fact, we are so confident you will be happy with the results, that we offer a 6-month warranty on the work we carry out. Our engineers have over 35 years of combined experience, so you can be assured that the work we do will be of the best possible standard. In one working day, we can completely refurbish two alloy wheels, meaning it won’t be long before you see the great results. If you’re unsure of whether your wheels are diamond cut, or to take advantage of the other services we provide, give us a call and we would be happy to help either way. If you’re experiencing problems with diamond-cut alloys, whether they’re corroded, dented or even scratched, fill out the booking form to get your wheels booked in for a refurbishment at your preferred time and date. We will be in contact with you to confirm the time and date so please note that the time and date that you have chosen is not set in stone and it depends on our availability. Give us a call to cement your spot – 01322 669 940.